Summer is a time to slip the surly bonds and go on that adventure to the coast or to the mountains, to load up the family and make your way to Disneyland, or airplane camping and fishing in the wilderness. It is a time to use your craft in the myriad ways for which it was intended. But, when the mercury rises, you know your airplane just isn’t going to perform in the way to which you are accustomed, especially at higher altitudes. At a given gross weight, increase in density altitude (DA) means a reduction in engine horsepower (thus a reduction in thrust), increased ground speed (thus longer takeoff and landing rolls), and decreased climb performance. The changes can be significant, especially at higher elevations. A turbo-charger can solve some of the problems (except with your pocketbook). However, loss of propeller efficiency is a big factor, even on turbo-charged aircraft. 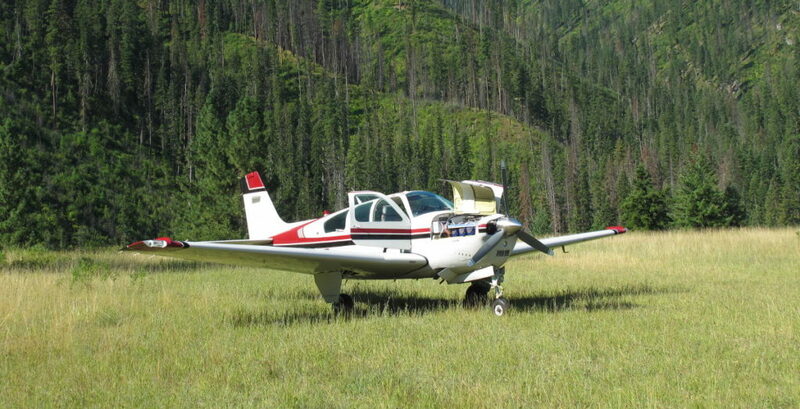 If your summer flying takes you to the mountains, you will learn to operate in the morning or late evening when your engine, propeller, and wings perform better. A major item you can control is how you load your airplane; you determine is how you load your airplane. When you operate at higher elevation airports in the heat of the summer, do you have a handle on how much weight reduction is necessary for safe operations? How often do you really know just what you can expect from your airplane at higher density altitudes? Your aircraft performance charts are a good place to start. However, many charts only give performance figures at gross weight, and some older aircraft substantial charts or data. Remember that you are not flying a new airplane and your performance will probably not meet the expectations of the charts. An excellent method of determining effects of density altitude is to build your own performance charts. Load your airplane to different weight and Center of Gravity positions and record takeoff and landing distances at different density altitudes for each weight/CG combination. This requires some time commitment, but is worth it. Use a runway where you have references, such as spacing of runway edge lights, to be as accurate as possible in recording takeoff and landing distances. You may need to factor in other variables such as runway gradient, runway surface conditions, and wind. If you get the chance, attend a density altitude clinic, such as the ones sponsored by the FAA, to collect data on your aircraft performance. Following is a simple way to determine density altitude (DA) at a given pressure altitude (PA). Rule of thumb: To determine DA at a given PA, add 600 feet to existing PA for every 10° F above standard temperature for that altitude.To do this, you must know the standard temperature at a given PA as shown in the table below. You should know the standard temperature for your home field and other elevations you use often. Here is an example using this simple rule of thumb. Suppose you want to depart from an airport at elevation 5000 feet on a summer day and the temperature is 85°F. Thus, A typical summer density altitude in much of the mountain west is over a mile and a half high when you are sitting on the ground! Rule of thumb: A normally aspirated aircraft engine loses approximately 3.5% hp per 1000 feet increase in DA. Let’s use a common airplane as an example, a Cessna 182. Another way to determine the amount of power reduction is to know what your engine will produce at full power on the MP gauge at sea level on a standard day. Then, determine the amount of power per inch it is producing, and calculate power reduction based on the fact the engine will lose one inch of manifold pressure per 1000ft DA. Either of the above methods work in estimating your power reduction and give similar results. The amount of reduction may seem a shock at first, but it should alert you to the realities of density altitude related performance problems. The next question is, how much weight must you remove to compensate for the reduced power if you want to operate at a roughly equivalent sea level performance? One way to do this is do determine the aircraft power loading at which you want to operate, and load the aircraft accordingly. Thus to obtain sea level equivalent power loading for the Cessna 182 on a summer day at 5000ft elevation and 85° F you must remove roughly 800 lbs!! That is equivalent to two 180-lb passengers, two 75-lb bags, and 48 gallons of gas! The calculation may be done using any power loading you choose to get an approximation of the expected performance. For example, if you usually operate from a 3000-ft elevation airport and the performance there is adequate, simply calculate the power loading using 3000-ft pressure altitude and standard temperature, and use that figure as the standard of comparison. Aircraft loading and weight are items over which pilots have direct and immediate control. We have looked at how to reduce aircraft weight to get better performance. However, you may choose to fly with a given weight and accept the decrease in performance. If so, you should have a good idea of just what that decrease in performance is going to be. If an aircraft has inadequate performance charts, you may choose to make your own, as suggested earlier. Or, you may have to make some choices, such as flying only in the morning or evening, or making multiple trips carrying lighter loads. The bottom line is, be aware of the effects of density altitude on the performance of any aircraft, and learn to lighten up! !